Yoko Ono: Four Works for Washington and the World was curated by Mark Beasley, Curator of Media and Performance Art at the Hirshhorn Museum and Sculpture Garden, with curatorial assistance from Sandy Guttman. Four Works spanned across the Hirshhorn's campus, and across media, pulling together key works from the Hirshhorn's collection with loaned works from the Yoko Ono Studio. 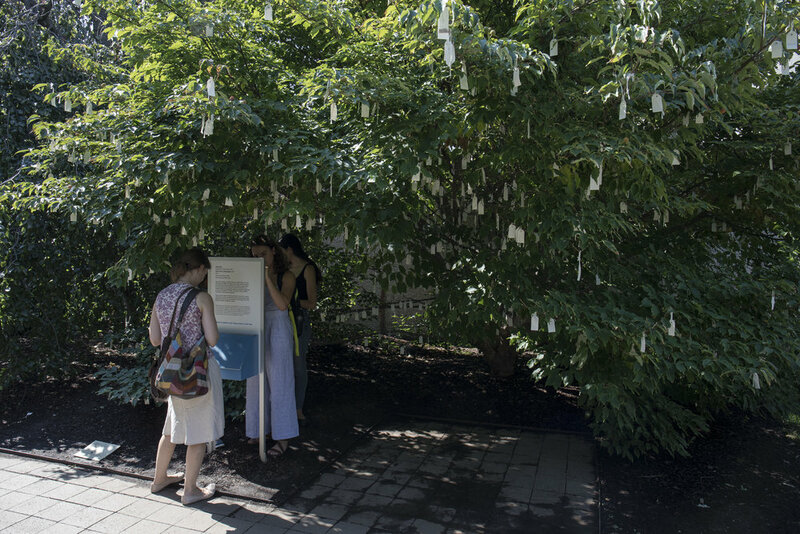 Ono's longheld practice of participatory instruction art was manifest in the Hirshhorn's installation of MY MOMMY IS BEAUTIFUL and the annual activation of a Wish Tree located in the museum's garden. 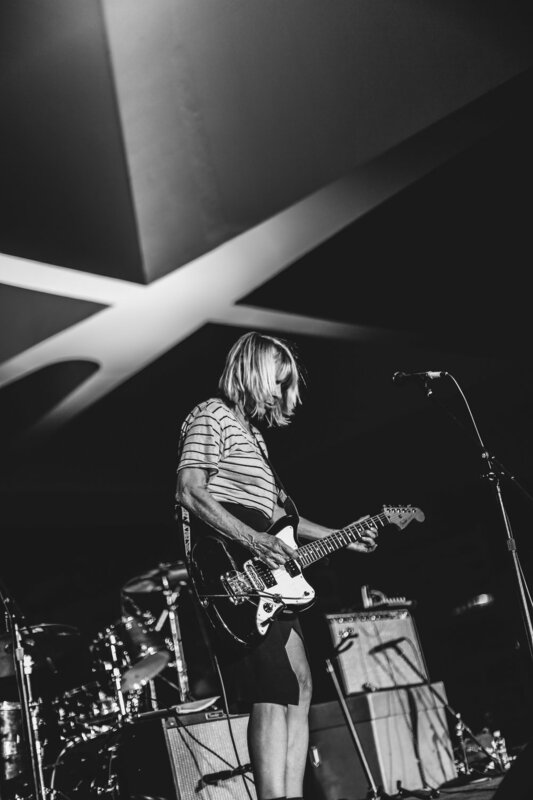 The exhibition culminated in the screening of several of Ono's films with live performances featuring Moor Mother, Lizzi Bougatsos of Gang Gang Dance, and Kim Gordon of BODY/HEAD and Sonic Youth. Each performer staged work that stemmed from Ono's musical and artistic career, culling from decades of material like Grapefruit and Acorn. 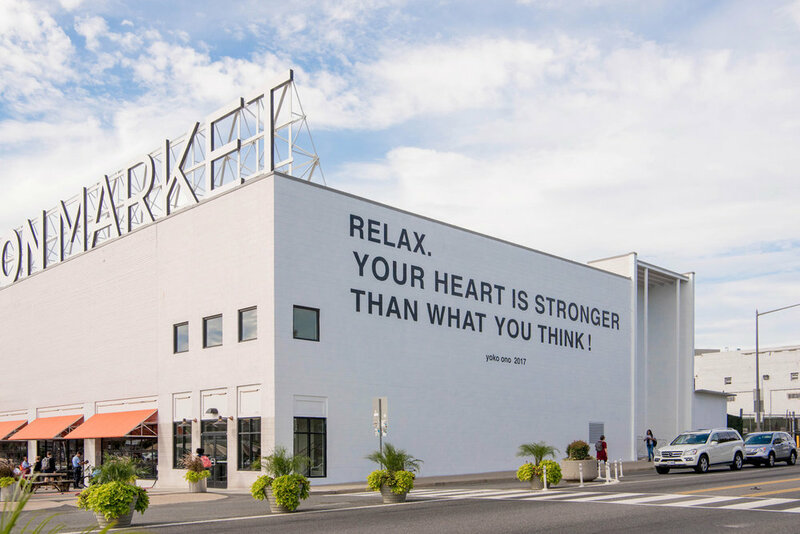 The exhibition also included a fifth work, RELAX, YOUR HEART IS STRONGER THAN WHAT YOU THINK!, a mural installed on the wall of Union Market, which was the inaugural work in the museum's new cross-DC initiative, Hirshhorn in the City. Exhibition photography by cathy carver, tex williams, and farrah skeiky.